Calm Your Puppy is the only therapeutic sound program designed for puppies. 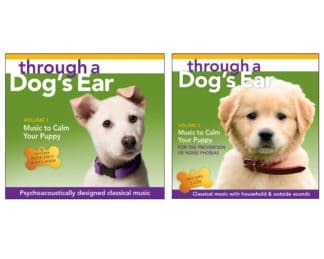 It builds on the clinically tested Calm Your Canine Companion series and adds highly-specific frequency modulation, especially for puppies. An early peaceful sound environment helps mold a calm dog. 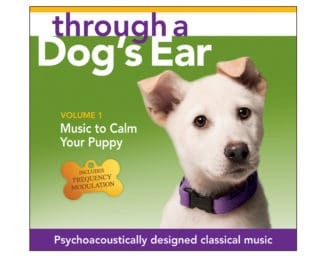 Music to Calm Your Puppy, Vol. 1 contributes to a soothing sonic environment, helping quiet and calm your puppy. 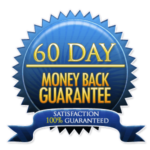 Frequency modulation can be defined as the alteration of sound. Sound therapy pioneer Alfred Tomatis, MD (1920-2001) discovered that high frequencies tend to charge or excite the nervous system, while mid-range and low frequencies tend to discharge or soothe. In Calm Your Puppy, progressive frequency modulation accommodates a young dog’s highly alert sense of hearing. I’ve gradually removed high frequencies to not arouse a puppy’s excitable nervous system. Significant modulation also takes place in the mid- and low range; sonic areas that have the greatest relaxing impact. Psychoacoustic techniques of resonance, entrainment, and pattern identification also create a gentle sound environment for masking unwanted noises. Calm Your Puppy becomes an auditory trigger to help your pup transition from playtime to people or sleep time. 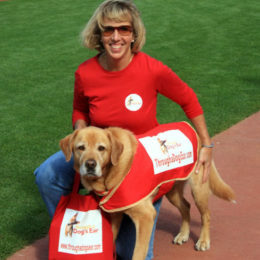 Depending on size and breed, puppyhood spans birth to 18 months. 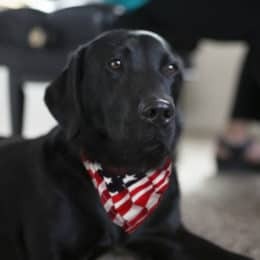 Young puppy coming home for first time: When your pup comes home with you for the first time, playing Calm Your Puppy will help him adjust to this new human environment. It is best to play the music 1-2 times as he is introduced to his new home. 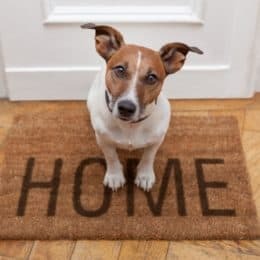 Older puppy coming home for first time, or puppy home prior to music arriving: If you are bringing home an older puppy for the first time, or if the puppy has been part of your household before you brought in the music, initially play Calm Your Puppy a few times when she is already calm, even when asleep. This allows her to associate the music with a positive state of being. 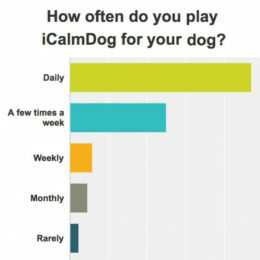 After playing once or more on 3-4 different days when your pup is calm, gradually introduce the music at other times, including those mentioned below. Play Calm Your Puppy at a very gentle volume. If it’s too loud for you to enjoy, then it’s definitely too loud for your puppy. Calm Your Puppy doesn’t need to be played continuously. Times of silence are also recommended. 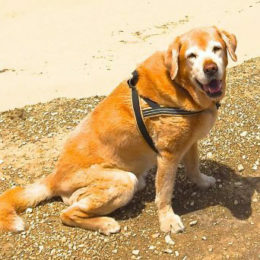 The human/animal bonding time is one of the great rewards of having a canine companion. Puppyhood is the start, hopefully, of a 10-15 year relationship. Music and touch are a great combo and go a long way in creating sweetness between you and your new furry friend. 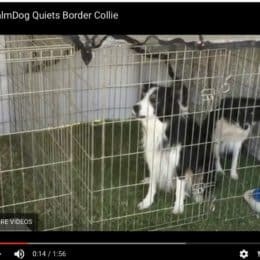 For optimal frequency modulation effect, play Calm Your Puppy on full spectrum speakers (not computer or small portables) at a gentle volume.